A teenage girl walked through the mall with her friends, giggling and smiling. She walked in and out of stores helping her friends find cute clothes. She was young, beautiful, and fit. No one would expect that she was eight weeks pregnant. She knew, but kept it to herself. She figured she would deal with her horrible secret herself and not have to concern anyone. But when the horrible realization that abortion wasn’t legal in her state came to her, she knew that having fun with her friends and proceeding in her life was over. This is just one of the reasons why abortion should be legal. Women should have complete control over their bodies and lives. According to The Washington Times, “On the 42nd anniversary of the Supreme Court's decision in Roe v. Wade, President Obama said Thursday that he is “deeply committed to protecting this core constitutional right” of abortion, and he criticized pro-life legislation approved by the House.” In 2006, Bader says “Women, it is now acknowledged, have the talent, capacity, and right to participate equally in the economic and social life of the Nation. Their ability to realize their full potential ... is intimately connected to their ability to control their reproductive lives. Thus, legal challenges to undue restrictions on abortion procedures do not seek to vindicate some generalized notion of privacy; rather, they center on a woman’s autonomy to determine her life’s course, and thus to enjoy equal citizenship stature.” (Abortion and Women’s Equality). All humans should have control of their lives and by keeping the laws against abortion, it goes against our basic human rights. Self ownership is having control over one’s self. Only one person can and should control someone’s life and that is that person. It is human nature to be free and control themselves and laws that prohibit this goes against a human’s basic rights. Some people believe that abortion is murder. This is believed because a fetus is “alive” and abortion goes against most, if not all, religions. Do you remember being in your mother’s womb? No. Nobody does. Fetuses are not yet capable of thinking and remembering. Fetuses can also feel no pain. The brain is not yet developed in the first trimester where most abortions take place, so the fetus is not capable of thinking. It is in the third trimester where they begin to actually become somewhat aware, there are never medical abortions done that far into the pregnancy. Everybody should be able to believe and do whatever they want as long as it does not affect another person. Saying that someone can’t have an abortion because of your religion is like ordering cake at a restaurant and having a complete stranger send it back because you eating yours “ruins” theirs. What you, as the president, should do is to relieve the abortion laws and give women the rights they deserve. Abortion should just be legalized so women can finally have complete control over their own bodies and not have someone else controlling their rights. 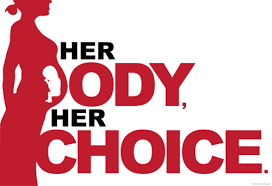 According to The Pro-Choice Action Network, “about 78% of people believe that abortion is a private matter between a woman and her doctor.” Everyone should at least have the choice to have an abortion. If women do not have the choice to have an abortion or not, then we are truly not free. We are slaves of men, forced to follow the laws they create and unable to go against it without being labeled as “crazy” or “emotional”. Women should have the exact same right and control over our lives and bodies as men. Then our politics become bad and other countries well have no problem taking over America. This letter is about my opinion about abortion and why it should be illegal but with some exceptions. Gun laws are altogether not strict enough. All humans have the right to live and this includes unborn babies.